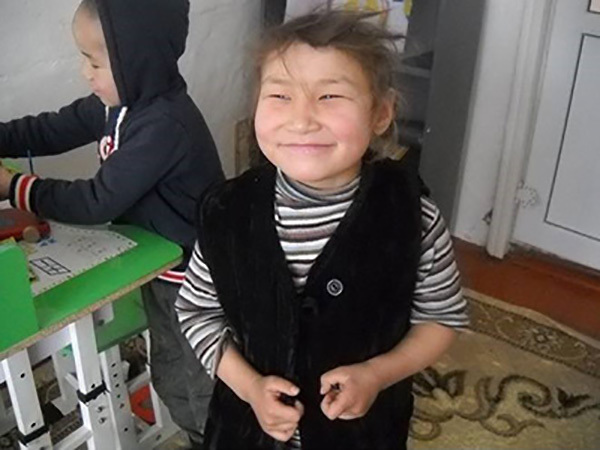 Aizhan, an 8 year old girl from Batken, Kyrgyzstan, attended school for the first time in 2014. Her local school had previously refused to accept her as a pupil because of her intellectual disabilities. Attending the Noor Day Centre, which provides educational opportunities and support for children with disabilities and their families, for a full year prior to entering school made this milestone possible. When she first started at the Day Centre, she had significant communication difficulties and was aggressive with other children. After a year of hard work with teachers, interaction with other children and support from her family, she developed considerably. She was able to play calmly with other children and recognize the emotions of others. Learning to use pictures to help her express herself reduced her frustration and aggressive behaviour. Her progress so inspired her mother that she attended several seminars at the Day Centre, during which she acquired a more positive attitude and interest in the development of her daughter. Aizhan now attends ordinary school, with extra help from a teaching assistant. This has become possible because of her perseverance, the support of her parents and the dedication of the Day Centre staff, supported by HealthProm. 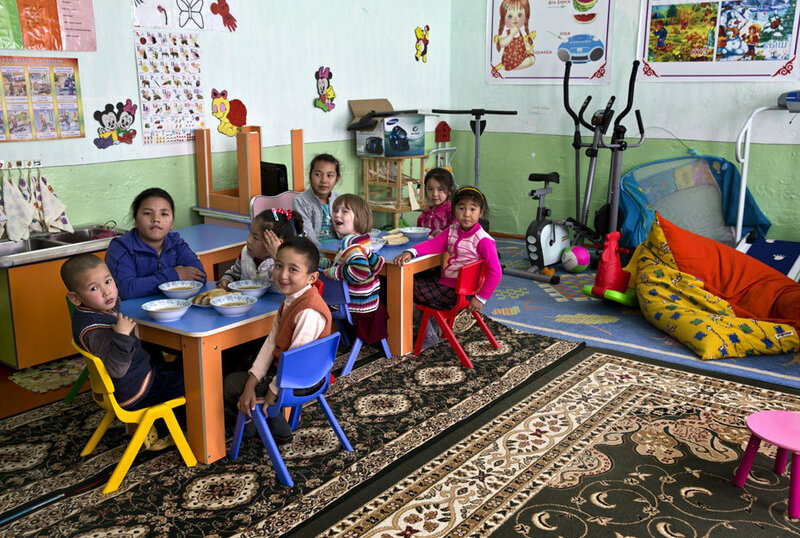 At HealthProm we believe that, with the proper support, every child can attend school.